Background: Messenger RNAs (mRNAs) are transported to specific subcellular compartments for localized processing or translation, facilitating protein targeting and assembly of multiprotein complexes. 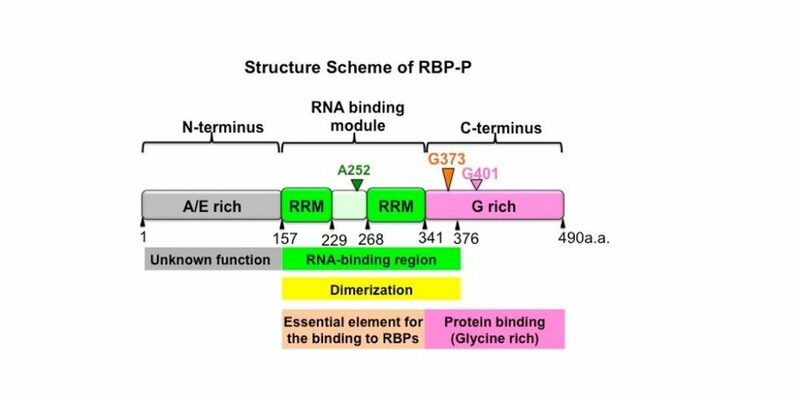 RNA localization requires zip code sequences that are recognized and bound by specific RNA-binding proteins (RBPs), which together with other accessory proteins form a large ribonucleoprotein complex competent for transport to its destination site. In developing rice endosperm, mRNAs of the major storage proteins, glutelin and prolamine, are transported and anchored to distinct subdomains of the cortical endoplasmic reticulum. Although more than 200 RBPs have been identified in rice endosperm cells, the RBPs directly involved in glutelin and prolamine mRNA localization are largely unknown. Question: A previously identified protein, RBP-P, binds to both glutelin and prolamine mRNA zip code sequences. We wanted to know whether RBP-P participates in glutelin and prolamine mRNA localization in rice endosperm cells. Findings: We found that three key mutations within RBP-P, P1MH (G401S), P2MH (G373E), and P3MH (A252T), reduce the binding activity of RBP-P to RNAs and to other proteins. The partial loss of RBP-P function mislocalizes glutelin and prolamine RNAs in rice mutants, indicating its indispensable role in mRNA localization. In addition, partial loss of RBP-P activity confers broad phenotypic variation, including dwarfism, chlorophyll deficiency, late flowering, and low spikelet fertility. 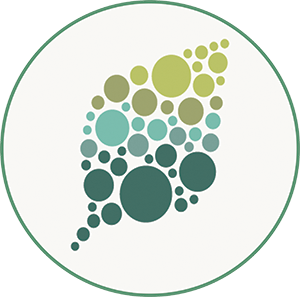 We demonstrate the significant roles of RBP-P in regulating genes important for plant growth and development through its RNA binding activity and cooperative regulation with interacting proteins. Next steps: As mRNAs are transported by large multiprotein complexes, our future work will investigate the interacting RNA binding partners of RBP-P responsible for mRNA transport in rice endosperm cells and whether combinations of these RBPs cotransport cohorts of RNAs. In addition to their role in RNA localization, these RBPs have multiple roles in RNA metabolism, e.g., during transcription, processing, and storage, and the broad function of RBPs in plant growth and development will also be investigated.